BMX Shop & Mailorder » News » BMX Shop News » The Shadow Conspiracy Softgoods - In stock! The Shadow Conspiracy Softgoods - In stock! We got the new The Shadow Conspiracy 2018 Softgoods now in stock, like for example The Shadow Conspiracy "Darkroom" Hooded Pullover, which has a soft fit and comes with a Shadow print. Also now in stock, The Shadow Conspiracy "Session" Backpack, which is a stylish and functional bag, with plenty of spots for all your riding and lifestyle needs. No matter where your bike takes you; whether its rippin across town, or traveling the world, this bag has you covered. The large main compartment can fit a helmet and much more, while the fast opening front compartment gives you easy access to your gear. The padded lower compartment is designed to keep cameras and electronics safe and in easy reach. The Shadow Conspiracy "Session" Backpack includes a coffin tool roll to help keep tools and other odds and ends organized. 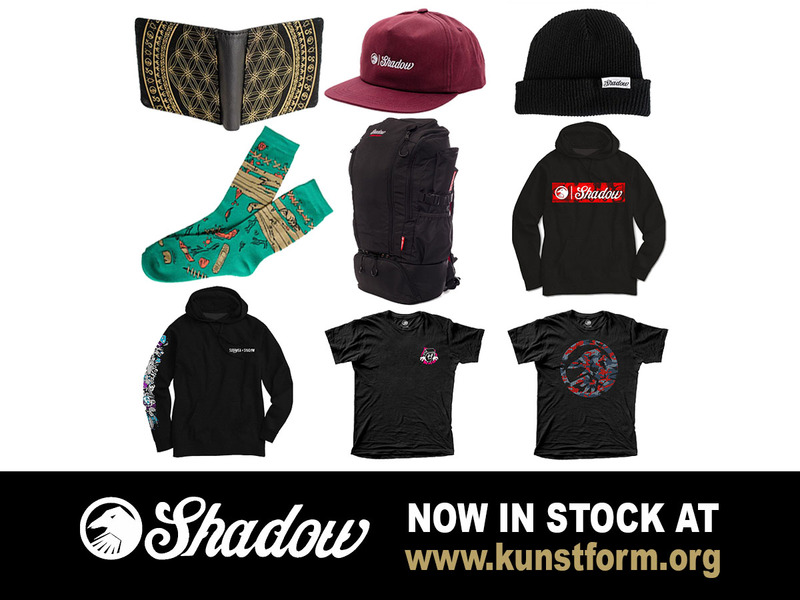 Check our online-shop for more new The Shadow Conspiracy products!